Today, Byblos is a modern city that still retains its historical past. Byblos remains as one of Lebanon's major tourist sites due to its rich history and scenic mountains overlooking the Mediterranean. 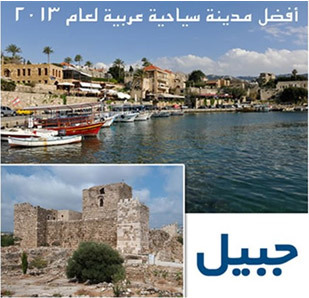 The United Nations World Tourism Organization (UNWTO) named Jbeil - Byblos as the best touristic city in the Arab World for the year 2013, and felicitated its Mayor Ziad Hawwat for the outstanding achievements he made and in recognition of his pioneering role in the development of the city. Byblos is re-emerging as an upscale touristic hub. With its ancient port, Phoenician, Roman and Crusader ruins, sandy beaches and the picturesque mountains that surround it make it an ideal tourist destination. The city is known for its fish restaurants, open-air bars, and outdoor cafes. Yachts cruise into its harbor today like they did in the sixties and seventies when Marlon Brando and Frank Sinatra were regular visitors to the city. 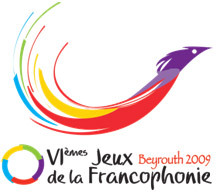 The 2009 Jeux de la Francophonie, also known as VIèmes Jeux de la Francophonie, (French for 6th Francophone Games) were held from September 27 to October 6 in Beirut, Lebanon. Approximately 3000 participants from 46 countries competed in the Games. The official logo featured a stylized image of a phoenix depicted in the colors of the International Organization of the Francophonie. This logo was chosen by the Lebanese organizing committee (CNJF) as the symbol and mascot of the 2009 Games. The phoenix logo was designed by Lebanese caricaturist Armand Homsi. The 2009 Jeux de la Francophonie featured 13 competitions, 7 sport events and 6 cultural contests. Sports:Athletics Athletics, Basketball Basketball, Beach volleyball Beach volleyball, Boxing Boxing, Football, Judo, Table tennis, Table tennis. The sports competitions were held in a variety of venues throughout Lebanon. The Lebanese University campus at Hadath, The centerpiece was the Camille Chamoun Sports City Stadium. It hosted the opening ceremony, as well as the finals of the athletics and soccer competitions. The boxing tournament was also held here. The other sports were held elsewhere throughout the coastal cities in Lebanon. The Rafic Hariri, Homenetmen Beirut club, Sporting Al Riyadi Beirut's arena, The Michel el-Murr Stadium in Bauchrieh and the Byblos beaches hosted the beach volleyball match. Cultural events were held in the UNESCO Palace and at the Université Saint-Joseph in Beirut. The UNESCO Palace hosted the dance, painting, photography and sculpture competitions. The USJ theaters hosted the preliminary phases of literature and song competitions. The ceremony was attended by delegates from 44 nations, including French Prime Minister François Fillon, Prince Albert of Monaco and Abdou Diouf, Secretary General of the International Francophonie Organization. Lebanese President Michel Sleiman gave a welcoming speech praising Lebanon as a country that exemplifies the International Francophonie Organization's values of "solidarity, diversity and excellence"; and officially inaugurated the games in the presence of top Lebanese officials: Prime Minister Fouad Siniora, Prime Minister-designate Saad Hariri and Parliament Speaker Nabih Berri. The participants in the games paraded in the stadium preceded by their national colors; many teams dressed in traditional national costumes. 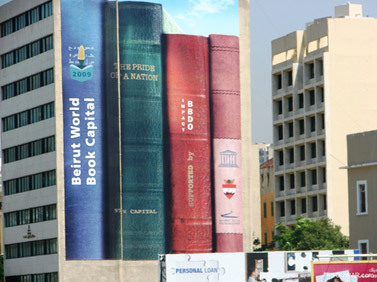 "Beirut World book capital - 2009"
Beirut is the ninth city designated as World Book Capital, following Madrid (2001), Alexandria (2002), New Delhi (2003), Anterp (2004), Montreal (2005), Turin (2006), Bogota (2007) and Amsterdam (2008). Beirut was chosen in particular thanks to The Director-general declared to be glad «to see the city of Beirut, facing immense challenges of peace and coexistence, duly recognized for its commitment in favor of a necessary dialogue, also giving its place to book» and he appreciate «its efforts for cultural diversity, dialogue and tolerance as well as for the variety and dynamism of its programme». Upon the nomination by UNESCO of Beirut as World Book Capital for 2009, the Ministry of Culture adopted a partnership approach, seeking as many partners as possible: ministries, embassies, NGOs, cultural institutions, intellectuals, etc. Its purpose is to create a true cultural dynamic at the entire national level. 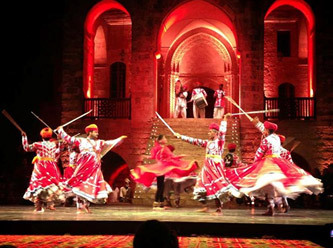 Beiteddine Festival is an annual summer festival that takes place in Beiteddine Palace: a large and magnificent 200-year old Palace in the Chouf Mountains, in Lebanon. Over the years it has included concerts or performances related to classical music, dance, theatre, opera, jazz, and modern world music. 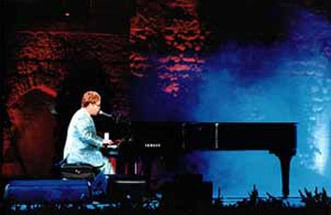 Ricky Martin, José Carreras, Phil Collins, Gilberto Gil, Majida El Roumi, Fairuz, Jkukia Boutros, Garou, Gilberto Gil, Elton John, Kazin AL Saher, Marcel Khalifé, Notre-Dame de Paris, UB40, Ziad Rahbani and others. 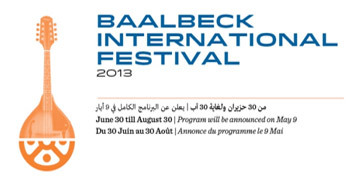 The Baalbeck International Festival is the oldest and most prestigious cultural event in the Middle East. 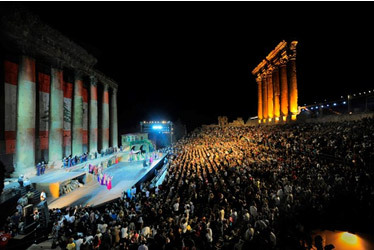 One of the most prestigious international festivals with varied and excellent cultural quality programs performed by great artists inside the magnificent Baalbeck Roman Acropolis. Since 1955, hundreds of thousands of people from around the world have flocked to the city of Baalbek in the Beqaa Valley of Lebanon to attend the annual festival. Classical music, dance, theater, opera, and jazz as well as modern world music are performed each July and August. 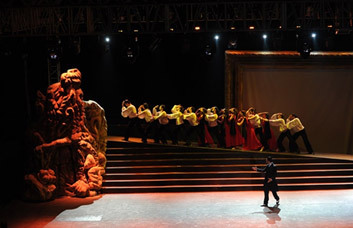 The Dance Theater of Alwin Nikolais, The Alvin Ailey Dance Theater, Lord of the dance. Miles Davis, Chamber Orchestra of Moscow, Chamber Orchestra of Stuttgart, English Chamber Orchestra, Lebanese National Symphony Orchestra, The New York Philharmonic Orchestra, Santa Cecilia Academy Rome Orchestra, The Pittsburgh Symphony Orchestra. Plácido Domingo, Ella Fitzgerald, Fairuz, Johnny Hallyday, Sabah, Nina Simone, Sting, Umm Kulthoum, Warda Al-Jazairia. Comédie-Française, Théâtre National de Belgique, Fairuz, the Rahbani Brothers. 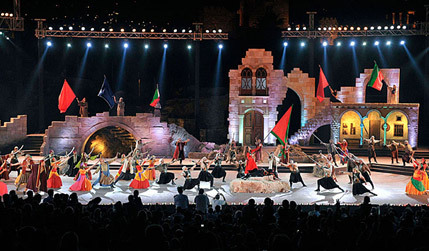 The Byblos International Festival is a Lebanese festival held in Byblos, this festival attracts each year thousands of tourists from all over the world. The International Festival has been held since July 2003, it takes place by the seaside in the historic quarter, in front of the medieval castle (12th century). 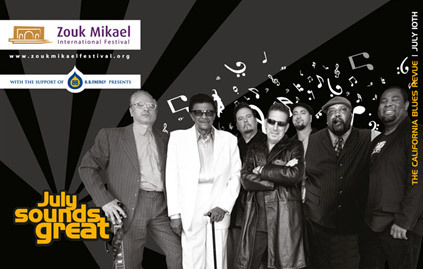 The festival's aims are to boost tourism, promote the Lebanese culture, and spread music and art from the Middle East to the rest of the world. 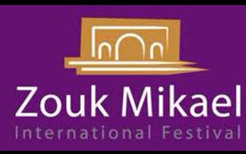 The Jounieh International Festival is a Lebanese festival held in Jounieh at Fouad Chehab Stadium, this festival attracts each year thousands of tourists from all over the world since its establishment in 2011. This festival is organized by "Phellipolis": a Lebanese non-profit association, whose main mission is to work for the development and modernization of municipal work in order to ensure decent living for the citizen. The Association strives to achieve sustainable development in the cities through, human development, social, economic, environmental and tourism projects, thus contributing to the growth of the cities' overall infrastructure. Launching of the festivities start with a fireworks show all over Jounieh bay. Charles Anzavour, Majida al Roumi, Ragheb Alama, Michel Sardou, Anthony Thouma, Mika "The Origin of Love" and Cheb Khaled and others. Red Bull event, Lebanese final car park drift at 8:00 pm, "Jounieh Summer Fever" in the pub street, Special entertainment & street showsKids & family day in Jounieh old street. The Batroun International Festival is very particular and exceptional festival satisfying all tastes and preferences. Thus, it includes several artistic and cultural activities in addition to the ‘on stage' local and international concerts and shows. Batroun, a coastal city, 50 km north of Beirut and 29 km south of Tripoli. It stretches from sea level to an altitude of 200 m. it is well known for its delicious lemonade juice, as lemon orchards spread all over the area. This festival located in a charming Lebanese town near Jounieh, offers a variety of both local and international performances. It attracts visitors from all Lebanese region and guests from many countries abroad. The events took place in a roman styled amphitheatre with a capacity of 2500. The venue is complete with cafeterias and public facilities. Several large car parks with shuttles for transportation to and from the amphitheatre ensure convenient access.